If there is one issue that can drive pet owners nuts it is dog separation anxiety. 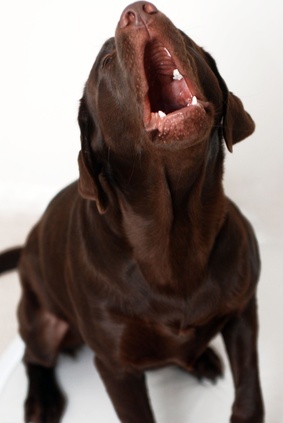 Destructive behaviour, excessive barking and chewing are all part of the deal and can effect dogs at any age. One of the reasons why dogs end up in animal shelters is because they begin to act irrationally; they may start destroying objects and howling and barking excessively. If this is the case than it is highly likely that that the animal is just experiencing dog separation anxiety and sending them to a shelter will just make them more anxious for being separated from you for the rest of their lives or worse, they may even become more destructive. All dog owners need to understand that there pets greatest joy is to experience being loved and cuddled and to build tight bonds with their masters. What is dog separation anxiety? Unfortunately it is one of the most common behavioural problems in the canine world. It affects not only the puppies but also the older dogs. It is the aversion and fear of isolation, which usually results in undesirable behaviours. Dogs are social animals and can easily get along with human beings. If they're used to be always by your side almost all the time including sleeping times, then for sure they will develop a deep attachment to you. This can cause them to be overly dependent on you. When the time comes that you get separated even for a while, they may begin to feel lost and anxious. Other causes of separation anxiety of the dogs can include the unexpected and sudden departure of the owner whom the dog was together with for a long time, distressing events that they experienced during the early years of their life, constantly switching from one home to another and, unfortunately, lack of leadership from the owner. How does it manifest itself? If your dog is showing some of these signs, then most probably they are suffering from separation anxiety of dogs. They will crazily greet you and will always follow you wherever you go. When you are preparing to leave home, they will exhibit anxiousness, fear, and stress. They may become aggressive or whimper at the thought of being left alone. They pee anywhere and show other unusual behaviours such being destructive and destroying household properties when they are left alone. This is most likely that they are seeking for some attention. When they are left alone for longer periods, their anxiety will increase and will exhibit behaviours such as barking, hyperactivity, whining, digging, pacing, chewing, howling, urinating, or defecating, scratching, or salivation. A commonly used treatment is behaviour modification and medication. A less drastic solution can be arrived at by the owner modifying his or her own behaviour around the dog, which is often used in combination with a medication to make the dog more receptive to the training. Ask the Vet about prescription options, or the the natural product Pet Calm. Medications used are anti-anxiety drugs such as amitriptyline and clomipramine. Try making each arrival and departure low-key and boring and don't make saying hello and goodbye a big deal for them. Get them used to your preparing-to-leave cues. Do this even if you are not leaving home. Give your dog more physical exercises. Don't forget to give rewards if you see any progress. Treating dog separation anxiety can be time consuming and difficult. If you are certain that your dog is suffering from this condition, don't lose hope, your dog can still change. Another approach is to try and determine the trigger for the behavior. In the video, the separation anxiety was due to another dog leaving the home. Once this experience was eliminated, the dog separation anxiety was resolved. You just need to take your time. There's nothing more rewarding than seeing your dog successfully deal with and overcome issues such as this. Ask A Vet For Free! Subscribe to Our Free Dog Health Newsletter and Get the eBook Pamper Your Dog for Free! The Labrador Retriever Guide is not intended to replace the advice of a Veterinarian or other pet Professional. This site accepts advertising and other forms of compensation for products mentioned. Such compensation does not influence the information or recommendations made. We always give our honest opinions, findings, beliefs, or experiences. © 2019 Labrador-Retriever-Guide.com.